Our Attorneys have over 40 years of combined experience representing consumers and businesses in bankruptcy. We have the knowledge and expertise to help you exercise your rights under the bankruptcy code. Bankruptcy is a complex legal process. It is our belief that our clients should know what to expect throughout the process and should not have to worry about surprises. We are here to answer all your questions so you have the facts necessary to make the right decision for yourself, your family, or your business. We believe in providing value to our clients by focusing on what is important in each case. This provides value by keeping attorney’s fees and costs at a minimum while attaining the desired results. We handle cases big and small from complex business cases to no- asset consumer bankruptcy cases. We provide quality representation to get you the results you expect and the fresh start you deserve! We firmly believe in protecting our client’s right to their discharge. This means protecting you from creditor actions taken in violation of the bankruptcy code. We are here to help against unlawful creditor actions. You found us because you, your business, or someone you care about is having financial problems. The financial difficulties may have resulted from an unforeseen medical expense, job loss, divorce, or a change in business. Your attorney is your agent acting on your behalf, but you are responsible for everything submitted to the court. Mistakes made on your behalf can lead to additional costs, loss of assets, or worse-the loss of your discharge. 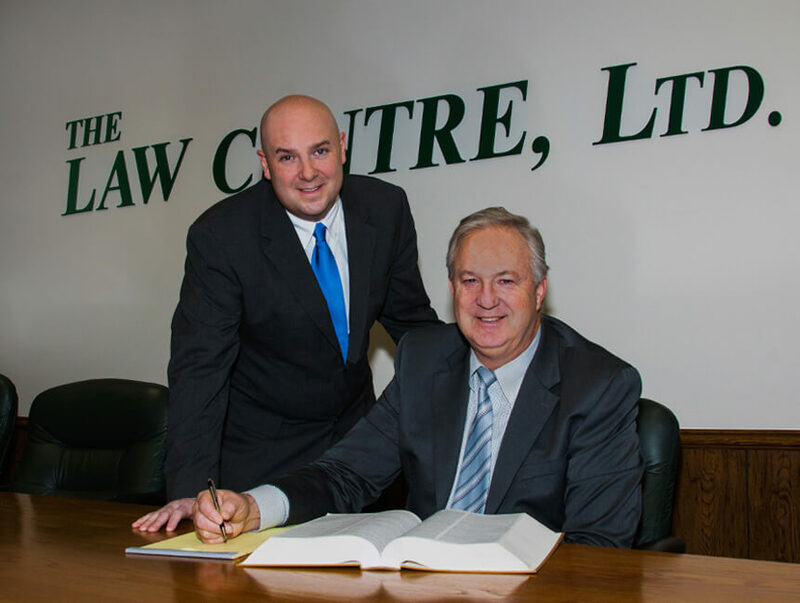 Our attorneys will warn you of any pitfalls, help devise a plan to protect your assets, and get you the fresh start you need. Free Initial Consultation. Fair and Flexible Fees. Friendly and Professional Staff. At Buckrop & VanDeVelde, our Rock Island bankruptcy attorneys help people exercise their legal rights under the U.S. Bankruptcy Code to get the fresh start they deserve. We are a small, family-owned debt relief law firm practicing primarily in the areas of Chapter 7 and 13 bankruptcy law in Western Illinois and Eastern Iowa. Our attorneys and staff are dedicated professionals focused on helping you, your family, and your business eliminate the burdensome debt that is keeping you from getting back on your feet. From wherever you are in Western Illinois or Eastern Iowa, contact us to schedule a free initial consultation with one of our bankruptcy attorneys. To learn more about bankruptcy and what to expect, please feel free to browse through our site. Chapter 7: Allows you to eliminate most secured and unsecured debt, including credit card debt and medical bills. You can stop the creditor calls and harassment. Most are able to keep their home and vehicles, while discharging other debts. payment you can afford. You can stop foreclosures and repossessions in their tracks. Our attorneys will listen to you and inform you of your options. I just wanted to thank you for being so kind to my husband and I during this very stressful time. Your genuine concern is very evident, and so is the fact that you not only enjoy what you do, but you are also very good at it! Thank you for making us feel comfortable and confident in the decisions we have made in filing bankruptcy. We were very anxious walking in to your office yesterday, but by the time we left, we were relaxed and felt much more at ease. That is due to the fact that you treated us like “family”. Thank you so much for all of your hard work. It is very much appreciated. I hope you have a wonderful friday, and a fantastic weekend to enjoy your giggling little guy! We will be in touch soon. This law firm is the absolute best!!! They were always there whenever we needed help and in getting questions answered. You were never pushed aside Grade a service. Even 2 years after our discharge they were there to answer questions that came up. Mary Kay is awesome to work with. I would highly recommend this law firm!! John VanDeVelde is incredibly knowledgeable, experienced, professional and courteous. I wouldn’t hesitate to recommend him. Thank you John, for helping us through our very difficult situation, and showing us that there is light at the end of the tunnel. I filed bankruptcy in 2011 with John. He was so great. He helped me through everything. He really saved me. I visit him a lot. The whole firm is full of great people. I would recommend them to anybody, and I have! Great help for such a great price too.